To be queer and young is to be STRONG. To be queer and young is to be RESILIENT. 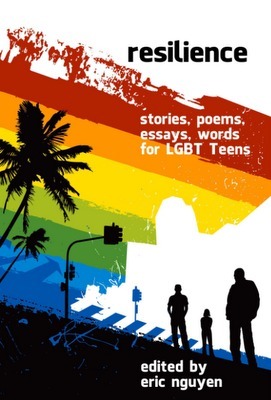 Collected in this anthology are over 20 inspiring stories, poems, essays, and other writings made for you - our queer youth. Started in 2010 in a time of crisis for the queer community, these are the works of artists who wanted to show the world the power of words. While eclectic in style andTo be queer and young is to be STRONG. To be queer and young is to be RESILIENT. Collected in this anthology are over 20 inspiring stories, poems, essays, and other writings made for you - our queer youth. Started in 2010 in a time of crisis for the queer community, these are the works of artists who wanted to show the world the power of words. While eclectic in style and form, what unites these works is a message of hope: it doesn't just get better, you grow stronger and wiser. Money from the sale of this book will be used to help fund The Make It Safer Project, which aims to bring LGBT-related books into schools and homeless shelters and into the hands of LGBT kids. For more information on the Make It Safe Project, visit www.makeitsafeproject.org. Featuring work from: Christopher Stephen Soden, James R. Silvestri, Emma Eden Ramos, Dan Stone, and many more!